Life is what it is. This does not mean that you passively accept it. It means that you acknowledge it, work with it, and work through it. There will be elements of life that are in your favor, and there will be those that are not. Even things that need to be fixed or improved cannot be addressed properly without first acknowledging them as they are. 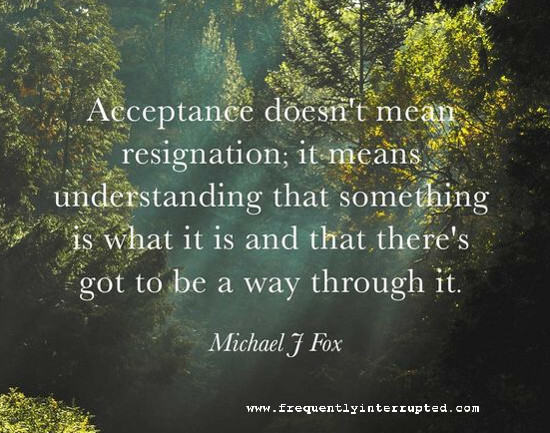 That is acceptance.